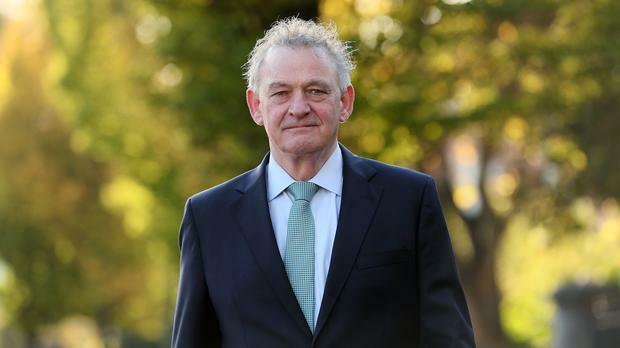 Businessman Peter Casey has decided to remain a candidate in the presidential election after a week of controversy over his views on Traveller culture and ethnicity. In an article in the Sunday Independent today, Mr Casey steadfastly refuses to apologise for his remarks, and attempts to open another front in his controversial campaign by describing Ireland as a “welfare-dependent state” which, he says, has led to a “sense of entitlement that’s become unaffordable”. The latest opinion poll on the presidential election shows Mr Casey has doubled his support to 2pc. Yesterday, Fianna Fail Social Protection spokesman Willie O’Dea hit back at the businessman, saying his comments were an “attempt to breathe life into outdated rhetoric”. Today, Mr Casey, a former Dragons’ Den panellist, says he was going to quit politics after he was accused of being a racist over comments he made about the Travelling community. However, he is now “more determined than ever to remain in the race” after being inundated with messages of support. He also refuses to apologise for his comments about Traveller ethnicity because he believes they are “first and foremost” Irish citizens. Mr Casey has faced widespread calls to drop out of the presidential race following his comments about Travellers on Independent.ie’s ‘Floating Voter’ podcast. He has become the most-talked about candidate after claiming Travellers are “basically people camping in someone else’s land”. He denied adopting Trump-like tactics to try push up his polling figures. The Irish-American businessman told Galway Bay FM he is not “in any way racist”. He noted that he grew up in Derry where Catholics were discriminated against in terms of voting rights and jobs.